As a convinced Wildean (celebrating beauty and social justice in all their forms) since my Oxford days and as a sometime chronicler of Soho’s bohemian history, I’m surprised at myself that I had never been to the Green Carnation bar/club in Greek Street until last night — or indeed heard of it. Maybe it hasn’t been in existence for very long, as I have walked down that street so many times and it’s only a few doors along from the Gay Hussar (no pun intended) Hungarian restaurant, long a haunt of Labour politicos in particular. But it was at the Green Carnation that the LibDems’ national group for lesbian, gay, bi and transgender issues last night had their pre-winter conference social to limber them up for their business session at the party headquarters later today, which I will be attending in my function as a Vice President. Formerly known as Delga, LGBT+LDs have made great progress both within the party and now within government in promoting minority rights. Until his shock defeat in May 2010, Dr Evan Harris (MP for Oxford West and Abingdon) was a huge support, and in Lynne Featherstone, Minister for Equalities at the Home Office, the cause now has someone at the heart of government, moreover not only with the backing of Nick Clegg and the rest of the LibDem team but also of Conservative Prime Minister David Cameron. Gay marriage has been one of the top campaigning issues for LGBT+LDs, alongside the lifting of the ban on gay men giving blood, and it is to Mr Cameron’s credit that he has come out strongly for the former, despite the growls from his back woodsmen in the Houses of Parliament, not to mention the extraordinary comment earlier this week from the Archbishop of York, John Sentamu, who said that the Prime Minister was acting like a dictator by promoting the issue. 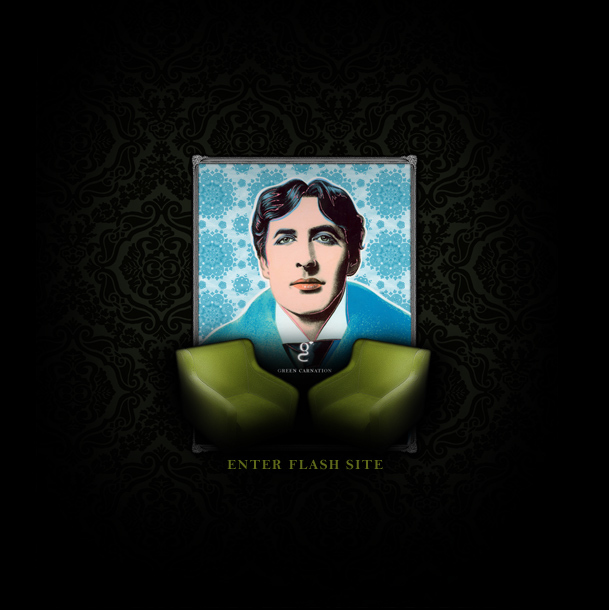 Oscar Wilde himself would doubtless have savoured the era we live in today in Britain and so much of the European Union, Latin America and beyond, where sexuality is no longer seen as a litmus test of respectability, or indeed acceptability, and where we celebrate diversity. The Queen recently received the credentials of a Latin American ambassador who went to Buckingham Palace with his male civil partner. Good for her, good for Britain, and good for true liberalism, which judges people on their character and their humanity, not on their sexual orientation or living arrangements. Andrew Lansley’s proposed reforms of Britain’s health service came as a shock to many Liberal Democrats, as they were not part of the Coalition agreement; in fact, there had been an assumption that there would be no major top-down reorganisation. So it’s not surprising that the ensuing debate has been both extensive and contentious. Paul Burstow, as junior Minister, has done a great deal to ensure that the Bill stumbling its way through parliament has a significant emphasis on social care. But a lot of the most dogged attempts to make the proposed changes more palatable have occurred in the House of Lords, so it was good to have the opportunity last night to hear from Baroness (Judith) Jolly — at a Pizza and Politcs put on by Islington Liberal Democrats — her take on where we are at in the process. One element she stressed was the way that competition based on price (as originally proposed by Lansley) has been succesfully replaced by the concept of a an agreed price for which providers would then compete on the basis of quality of delivery. There is also now much more emphasis on the patient, though more progress still needs to be made. Judith had good experience working with health trusts before being elevated to the peerage last year and is therefore up to speed on much of the detail. But as I pointed out in the discussion following her presentation, it is very difficult to get a persuasive case based on detail across on the doorstep. In the London Mayoral and GLA elections this May, the Labour Party is bound to attack the Liberal Democrats on the issue of NHS Reform, even though health is not a competence of the Mayor or Assembly. Judith’s points were subtle and nuanced, but London politics is neither. I suspect the Labour approach will be like a twin-bored shotgun, with the two pithy criticisms: that the Coalition is destroying the NHS, and that it is privatising the NHS. Neither accusation in its blunt form is true. Health care will still be free at the point of delivery. And the opening up of parts of the service to private elements was in fact initiated by Labour. But we Liberal Democrats need equally pithy messages to refute Labour’s distorted charges. And we need them quickly. What better way to celebrate in London the first anniversary of the 25 January Egyptian Revolutionary movement than to join a stimulating crowd of fellow hacks, human rights activists, Arabists and UK-based Atab intellectuals at the launch of a new book about the extraordinary events in Cairo last year by Abdel Latif El-Manawy, who had the job of overseeing news content at the state broadcaster, the Egyptian Radio and Television Union (ERTU), in the ancien régime’s final days? From his privileged insider position he was able –and willing — to tell Hosni Mubarak it was time to go, but that still makes him a controversial figure among many Egyptian revolutionaries who wonder quite how he was able to slide gracefully from the old situation into the new one in which the army has essentially been in charge. Mr El-Manawy last night described what happened at Tahrir Square as a ‘critical explosion’. 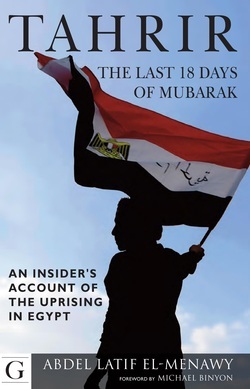 I picked up my copy of ‘Tahrir: The Last 18 Days of Mubarak’ at the party thrown by Gilgamesh publishers at Daunt Books in Marylebone, so have not yet had the chance to read it. But I shall be fascinated to digest not only Abdel Latif’s El-Manawy’s take on the events between the first mass occupation of Tahrir Square and Mubarak’s stepping down, but also to see how he reconciles what he did at the head of an organisation essentially treading a tightrope between media objectivity and propaganda. In the meantime, I shall reserve judgement. 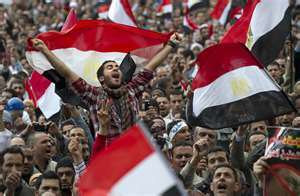 Besides, everyone at the launch was too exhilirated by the events of the past year to carp, despite concerns about how successful Egypt’s revolution will prove to be in te end, and even deeper fears about the prognosis for Syria. But in the cold light of morning, we shall see. I shall review the book in due course. 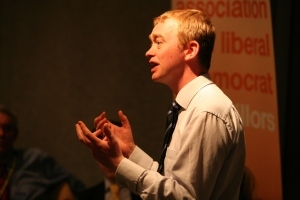 One of the least glamorous and yet necessary tasks of being President of the Liberal Democrats is systematically going round local party meetings and events, though Tim Farron, like his predecessor Ros Scott, does this with seemingly unbounded energy and enthusiasm. 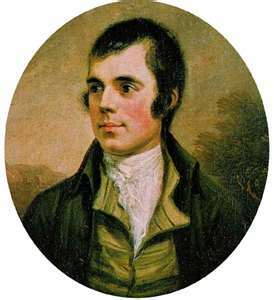 Although he is an MP in the North West, we see a lot of him in London, as it is easy to make the short journey from Westminster to one of the region’s local parties. But as he told members of Battersea and Tooting LibDems at a social event in the Wandsworth Museum this evening, he is moreover committed to doing everything possible to boost the current London Mayoral and GLA campaign. Indeed, he has pledged to go out campaigning with London candidates once a fortnight in the run-up to May, over and above his usual party workload. The Wandsworth Museum — which was a public library when I last visited it, to take part in a Euro-election hustings some years back — was a nicely quirky venue to hold this evening’s event, with home-made chilli con carne and baked potatos. But I wonder if Tim noticed that while he was speaking he was standing next to an exhibit of a splendid vintage phamacy in which there were two historic billboards displayed: one for a lecture by Marie Stopes on fulfilling wedlock and another advertising a talk by a now forgotten member of the medical profession about venereal diseases. Tim’s subject was far less dramatic, though it did involve the health of the Liberal Democrats, which he believes is stronger than some recent opnioin polls suggest. These are difficult times, certainly, but the Party has known far worse, recovered and gone on to exceed people’s expectations. Iran and the West: Is War Inevitable? 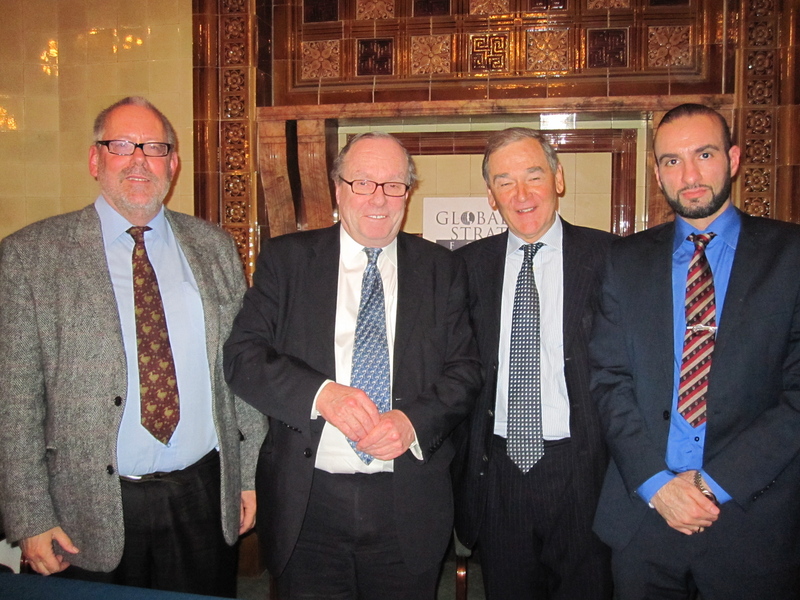 This lunchtime at the National Liberal Club I was a member of a panel discussing the inevitability or otherwise of war between the West and Iran, held under the auspices of the Global Strategy Forum, which is chaired by Lord Lothian (aka Michael Ancram). The place was packed as the subject could hardly have been more topical and there were three fine other speakers: Sir Malcolm Rifkind (former Foreign Secretary), Sir Jeremy Greenstock (former UK Ambasador to the UN) and Dr Arhsin Adib-Moghaddam, a colleague of mine at SOAS. There was sufficient variety of views for a lively debate and some useful input from the audience, which included many Ambassadors, several members of the House of Lords and a number of journos, including Frank Gardner and Nick Childs from the BBC. We speakers were allotted just eight minutes each, so I used my time first to make the general point that whereas there are sometimes justifiable wars — recent examples being the Coalition that ousted the Iraqis from Kuwait in 1991, and the intervention last year in Libya under the principle of Responsibility to Protect — in general War is an admission of failure. I do not believe that war with Iran is either inevitable or desirable, despite the regime’s apparent desire to develop nuclear weapons (strongly denied officially in Tehran, of course). I worry about the rachetting up of pressure on Tehran by several Western governments, including and in particular that of Britain, whose own history of interference in Iran’s affairs has an inglorious past. I stressed that an atomosphere needs to be created in which there could be meaningful multilateral talks, with no pre-conditions (a view contested by Malcolm Rifkind). We should also respect Iran as a great civilization, I argued, as well as a country whose people understandably feel surrounded and threatened, not least by US bases on the other side of the narrow Persian Gulf. And I concluded by proposing a Middle East conference that would look at the whole region — including the Palestinian issue — and not just Iran in isolation. All the countries of the region, including Israel, shnold be present, and although Western countries, including the EU and US, might facilitate such a gathering ( a point also made by Jeremy Greenstock), we in the West should not try to run the show or dictate an outcome. That era has passed, and rightly so. 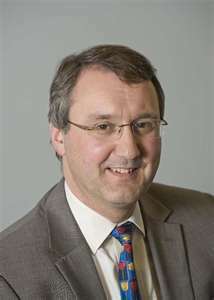 During his 10 years on the London Assembly, LibDem Mike Tuffrey has made environmental issues one of his top priorities. And although he is standing down in May, he is still a man on a mission, all guns metaphorically firing, on the matter of London’s poor air quality. As he told a meeting of Merton Liberal Democrats at a policy fourm in Morden this evening, though we may not be able to see the pollution in the capital’s air these days — unlike the ghastly ‘pea-soupers’ of the 1950s — in Central London in particular the amount of harmful particulates and NO2 is often alarming. The European Union, to its credit, has set standards for air quality, to which all member stats are meant to adhere. In fact, these are only half as strict as World Health Organisation guidelines, and yet as the Mayor, Boris Johnson, admits in some respects London still falls short of what is desirable. The main victims of this are the elderly and children, as well as asthma sufferers, of course. The latter can tell when there is a particularly bad day even if the pollution monitors which boroughs are meant to instal and maintain are not functioning. Roads, or rather the traffic they carry, are the main polluters and despite all the publicity about the supposed environmental advantages of diesel fuel, diesel fumes are particularly noxious, Mike says. While some of us might hope that London could follow the example of continental cities such as Berlin and Copenhagen and make a concerted effort to turn our city more bicycle-friendly, great effort also needs to be put in to encourage the shift towards electric vehicles, especially light goods vehicles. Mike also pointed out that Heathrow is the one serious blackspot outside the centre of London, not just because of the aircraft but also because of all the vehicles that transfer the passengers to and from the airport. Tougher standards on what sort of vehicles can enter the airport would certainly help, but it is unlikely BAA would agree to such a measure. In the meantime, though, Mike stressed that although environmental issues rank relatively low in the priorities of a majority of London’s voters, health is a major concern. And poor air quality is even more of a health mattter than it is an environmental concern. Though Europe is often cited as the most contentious issue between the Conservative and Liberal Democrat Coalition Government partners, another important area of divergence is multiculturalism. David Cameron famously used a speech in Germany to suggest that multiculturalism in Britain has failed, by stressing people’s differences rather than what unites them. But that prompted Nick Clegg to speak up for multiculturalism while on a visit to Luton. One thing the two governing parties are agreed on, however, is that the previous Labour administration’s ‘Prevent’ programme was deeply flawed. I said as much when it was introduced; not just because the name was itself was so negative, but also because it risked stigmatising the entire Muslim community in Britain by false association, i.e. the most likely sources of terrorism in Britain are those communities with the highest proportions of Muslim population. Andrew Stunell, junior Minister within the Department of Local Government and Communities, with special responsiblity for race relations and community cohesion, helpfully defined his own views on the matter at a Pizza and Politics event put on by Hackney Liberal Democrats in Shoreditch this evening. He acknowledged that his own home area of Stockport in Greater Manchester — one of the least racially diverse areas of the North West — had received a grant under Prevent, but the money was usefully spent on an adventure playground. Far more diverse Bradford, over the Pennines, interestingly refused to have anything to do with the programme. Anyway, under the new government, matters have been finessed and it was very helpful to have additional insights from local Hackney Councillor Dawood Akhoon (a Muslim who represents his LibDem ward alongside two Orthodox Jews), Akeela Ahmed, who has been involved with a helpline for young Muslims having diffiulties dealing with personal issues within their own community, and Jamie Bartlett from Demos. The danger was acknowledged of blithely referring to ‘Islamic terrorism’ (as so often is the case in the media), but a valid point was also made by Councillor Farooq Qureshi from Waltham Forest that it is wrong to denounce all Wahabis as extremists. I know that peronally, having encountered all types of Wahabis, from the most conservative in Saudi Arabia to distinctly open-minded in Qatar. The evening’s discussion was rich, including far more than can be encompassed in a short blog post. So I was really pleased to see that the whole event was being live-streamed by video so that people who were not physically present could actually follow the discussion — an example which could usefully be followed by other LibDem Pizza and Politics evenings and their equivalents.